I have to say that I find this ridiculous quote really funny and inspiring. I love the idea that people at one point (and still today) think its crazy for people to actually go out and run for FUN! I have to admit that I am one of those crazy people. I love running! I love the sound of my feet pounding on the pavement and pushing myself to new limits. For me, its exhilarating...well most of the time. This does not mean that I don't often choose the snooze button over my Nikes. 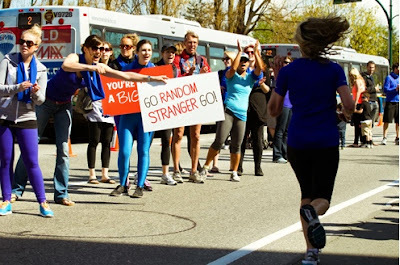 But as I up my running to train for the Nike Womens Marathon, I love to think about the fans on the sideslines, cheering for me...a complete stranger, especially around, oh...miles 18-26. Oh, to be more stylish in my runs! I love workout clothes that are bright, bold and give you energy just looking at them. For me, neons are my go to colors...and sadly sometimes this means that the only things clean are purple tights and a neon pink top. 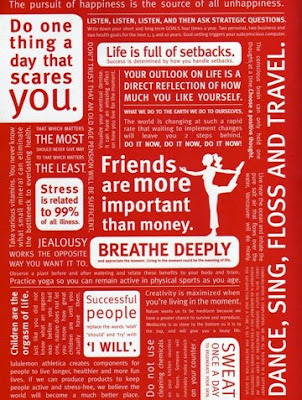 Finally, I'll leave you with a little inspiration from Lululemon. There is always a surprising, inspiring quote that will help you look at life a little more optimistically. My favorite, Dance, Sing, Floss and Travel. I love the hot bright colors too when I run! Even my running nike shoes are black with bright Pink. I cant wait to do some new shopping for active wear too. By the way I have to say Old navy women's seamless sports bra is awesome!! 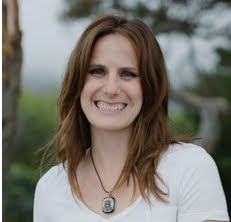 I am Liza and live in San Francisco. I am a fashion enthusiast / adventure lover / tea addict. Welcome to my blog where I am seeking to share inspiration in fashion, lifestyle and life's adventures!